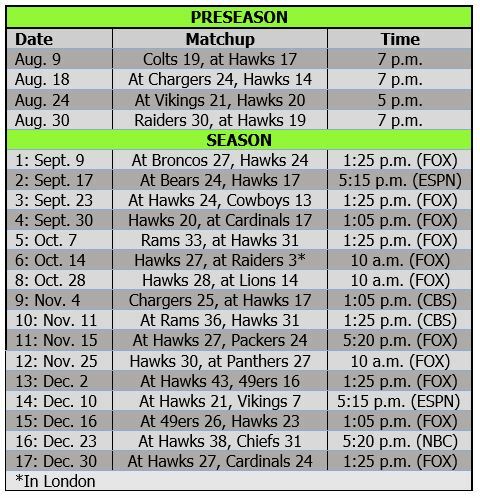 Hawks finally forced abroad; will NFL schedule properly? The Seahawks put it off for as long as possible, but their time finally came: They have to play in London in 2018. At least it won’t come at the expense of a home game. 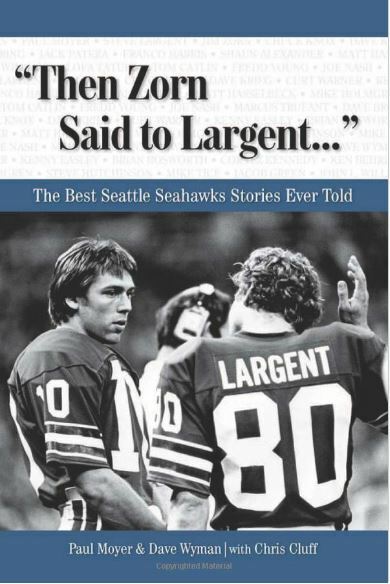 Way back in 2005, Tod Leiweke, then Seattle’s CEO, said the Seahawks were not interested in playing abroad during the season — especially if it cost them a home game. That Mexico game kicked off the NFL’s international foray. The league has played in London since 2007, and the Seahawks have staved off the trip for 11 seasons. Hopefully they can avoid it for another 11 after 2018. Schneider poised to make a few trades? “Who says we’re picking at 26?” — John Schneider in 2016 (and 2017?). 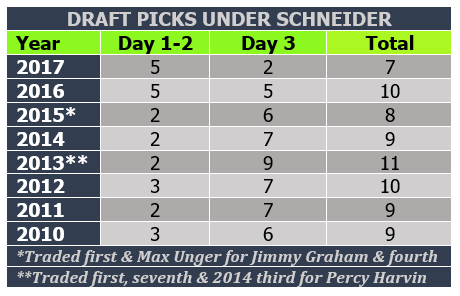 With the draft two weeks away, it looks like John Schneider could be getting ready to make some big moves. On top of the Marshawn Lynch trade that seems destined to happen at any time and the potential Richard Sherman deal, Schneider is rumored to be talking to teams about moving up in the first round — which would be a first for him as Seattle’s general manager. Reports early Thursday indicated the Seahawks and Raiders would end up working out a trade, assuming Lynch and the Raiders worked out a contract. On Thursday night, Lynch sent out a tweet that seemed to indicate he and the Raiders had come to terms, and it was reported as done Friday until Lynch seemed to set everyone straight. Once it gets “real” with the Raiders, a deal between Seattle and Oakland would seem to be coming shortly after. At the NFL owners meetings this week, Pete Carroll and John Schneider gave us a better idea of where Seattle’s seven new veterans (not counting kickers) might fit. 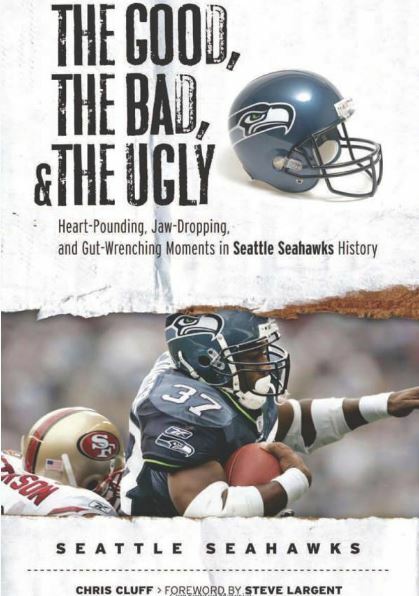 We also learned that Marshawn Lynch is indeed contemplating a return and the Seahawks really have heard from teams (including the Patriots) gauging a trade for Richard Sherman. On top of that, Carroll and Schneider addressed their backup quarterback situation, which is a little hazy in light of Trevone Boykin’s recent arrest — but won’t include Colin Kaepernick. John Schneider surely knew this was a possibility: Marshawn Lynch wanting to come back. And he had to know he might have to make a tough decision on how to handle Beast Mode if he did want to return, considering the Seahawks had already made their plans to move on. So here come the Raiders, reportedly wanting to lure Lynch out of retirement and hope the Seahawks basically give him to them — a “friends and family” discount from Schneider to former Green Bay cohort Reggie McKenzie, who runs the Raiders. Unlike last year, when the Raiders reportedly tried to trade for Lynch, it sounds like Lynch is amenable to playing. And it sounds like he wants the Seahawks to release him so he can play in his hometown for another year or two. If all true, Schneider has a decision to make on Lynch: Keep him, trade him or cut him. Keeping him is not really an option — both sides seemingly have moved on. Trading him might be tough, if the Raiders refuse to cooperate. So that could leave Schneider with only one option: Just let him go for nothing. Well, almost nothing.